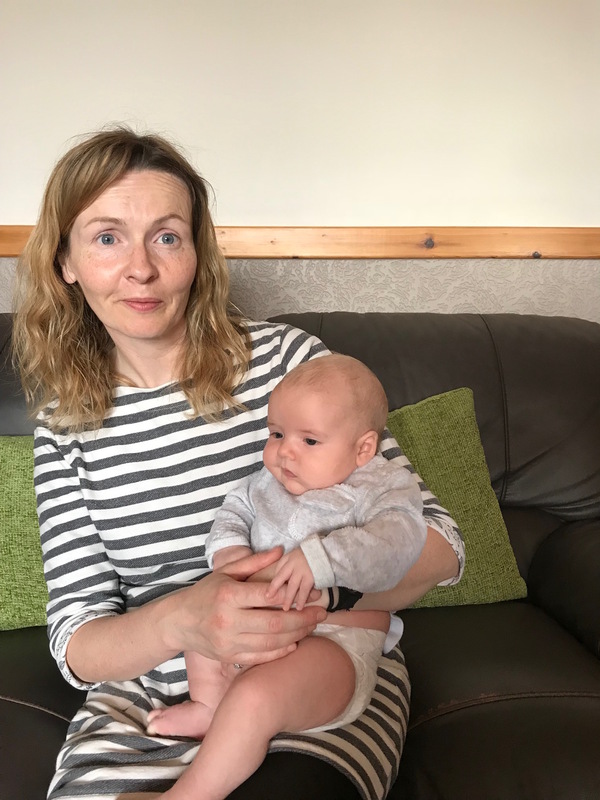 Anne Phipps, picture with her three-month-old Grandson Isaac, is running her first ever competitive race at the Dunvegan Castle 10k this Saturday. 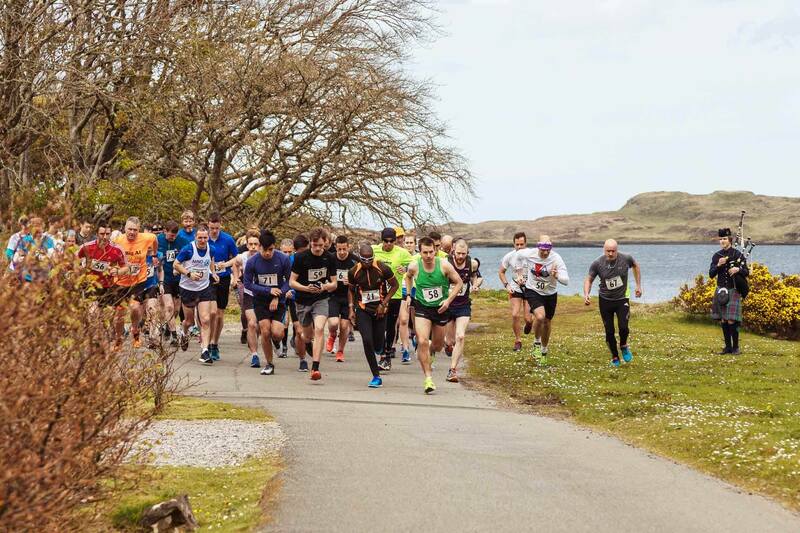 A Staffin resident who is set to compete in her first ever race at the Dunvegan Castle 10K on Saturday has told the Free Press that she believes that neither age or expertise should be a barrier when it comes to running. Anne Phipps, who works as a senior carer at Budhmor House care home in Portree, decided last August to start running for the first time since her school days and is now not only gearing up for the 10k on Saturday but will also run in this year’s Skye Half Marathon in June. Excited and nervous ahead of tomorrow’s race, Anne explained why she decided to pull on her trainers and hit the road: “I did running at school, but I am 45 now, and after last year’s half marathon, which my brother and one of my friends have run, I thought, right I am going to do it next year! I couldn’t run the length of myself, but that’s when I met Sam Crowe. She worked as a personal trainer, so I used her for a couple of months and then she built me up. I got totally hooked then. Winter series running champion – Sam Crowe (left) trained Anne during her role as a personal trainer. Although she now describes herself as “hooked” and can be found out training several times a week, Anne also believes that, as a 45-year old granny, she is an example of how it’s possible for anyone regardless of their age or expertise to get involved and pick up the sport. 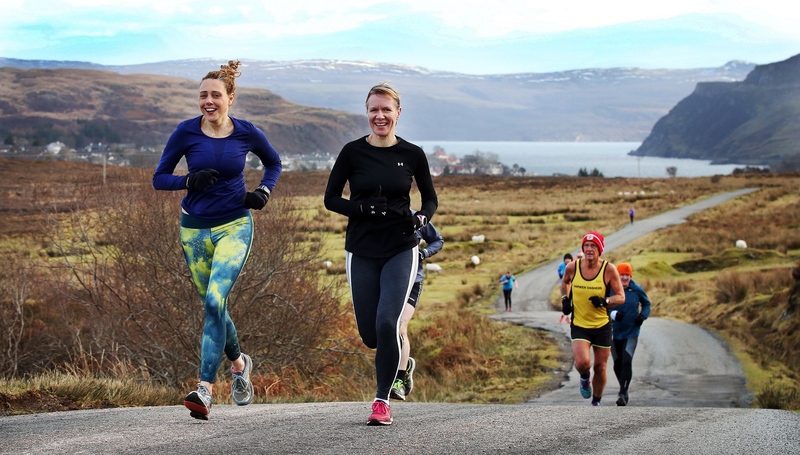 Anne will be among a record-breaking field of 100 runners at this year’s Dunvegan Castle 10k. Having trained first thing in the morning – at the crack of dawn – and through torrential rain late in the evening, Anne has fitted in runs around her shift work at Budhmor and certainly given her all in preparation for the 10k. However, as the race approaches, she does admit that she still holds a degree of trepidation ahead of the run. With a sense of fear driving her on, seven months of hard training under her belt while working full-time, and the support of her family including her grandchildren – five-year-old Noah, and Isaac who is just three months, who would back against Anne – the Supergran from Staffin – completing tomorrow’s race with flying colours.